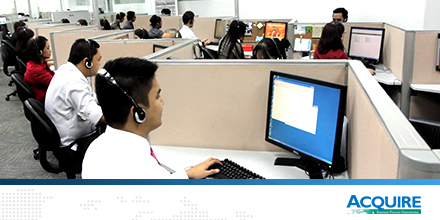 Offshore outsourcing is a relatively recent business phenomenon that continues to transform economies. Offshore outsourcing means relocating business functions from one country to another in order to achieve superior and sustained performance in a relentlessly competitive marketplace. Offshore outsourcing ensures that you have the resources necessary for your company’s growth, without having to invest your hard cash in world-class infrastructure, the latest technology and real estate. Also, by choosing to move your business functions overseas, you will be able to leverage a pool of highly skilled and very qualified experts with experience and capabilities that you otherwise may not be able to hire locally. And because wages and benefits are lower in developing countries—the usual destination countries for offshore outsourcing—you can get significant cost savings when you take work offshore. As your workload grows, so do your fixed costs, such as infrastructure, rent, utilities and many more. It is even more costly when you factor in the training, induction and management of human resources. An offshore outsourcing partner takes care of these day-to-day operational responsibilities at a fraction of the cost, so you can focus on your core functions while saving on valuable time and money. An ‘in-country-for-country’ approach enables your company to expand your business reach, access new target markets and be close to your end-users. Not only will your offshore outsourcing partner help you determine the best approach for market entry, but they will also provide the project management skills needed to implement the strategy. The right offshore outsourcing partner supplements your operations with disaster recovery mechanisms and detailed backup plans so you can rapidly respond to situations, such as natural calamities, accidents, market fluctuations or technical crises, and get operations back on track quickly. Not only that, should you wish to quickly expand your focus to another campaign, using a flexible offshore outsourcing partner will allow you to shift gears and make the transition easily. As companies race to scale their operations, some still opt to remain exclusively onshore, putting themselves at a competitive disadvantage to their competitors who are operating from a lower-cost offshore base. While these companies may remain competitive through aggressive process improvements and cost-cutting, their opportunities for growth and improvement are limited by closing their corporate minds to the many benefits of offshore outsourcing.